And some pics of Blue CF/Aluminium GS by Autogespot. 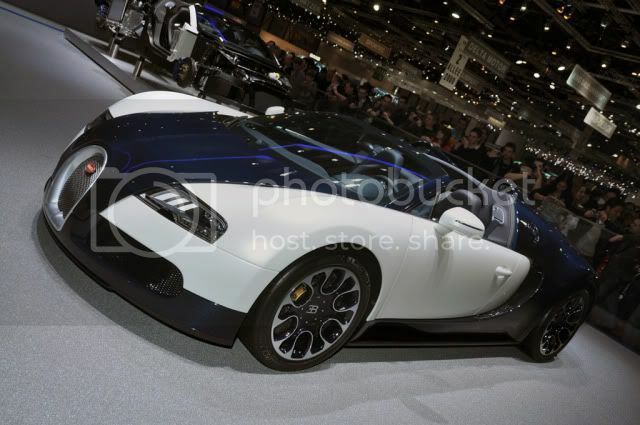 I have been at Geneva auto show and have seen both of those stunning Grand Sports. They look so amazing, astonishing and perfect in flesh. Grey carbon fiber Grand Sport is now my all time favorite Veyron till the Grand Prix will come out. Do these two special models have some special names? They are not special editions, this what you can do with individualization program. But customers like bugatti to name their cars. There will be a new CF color for the Bugatti Grand Sport.. For interior and exterior..